Borderless Arts is honored to partner with the Nashville Children’s Theater on a special project called Conversations Over Tea. 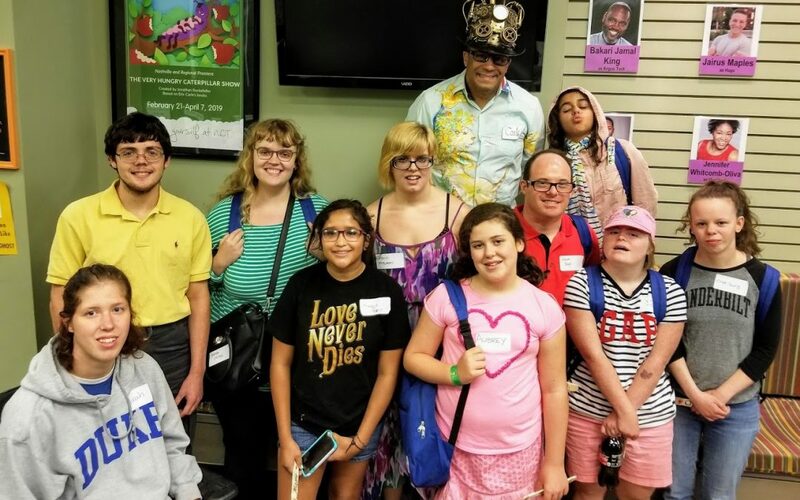 On Sunday, Sept 16, several families met with 4 playwrights from Nashville Children’s Theater to share stories of the challenges that young adults, and their families, face when reaching adulthood. As the parents talked to the playwrights, Carols Calderon worked with the young adults on an art project. After the playwrights had spoken with the parents, the young adults got their opportunity to talk to the playwrights. In February, Borderless Arts will host auditions for parts in the one act “readings” of these plays. The readings will be produced for the public on March 21 at Nashville Children’s Theater. This project is supported by a grant from the Tennessee Arts Commission and the Tennessee Council on Developmental Disabilities.